Clayton Anderson talks about his new book, The Ordinary Spaceman. 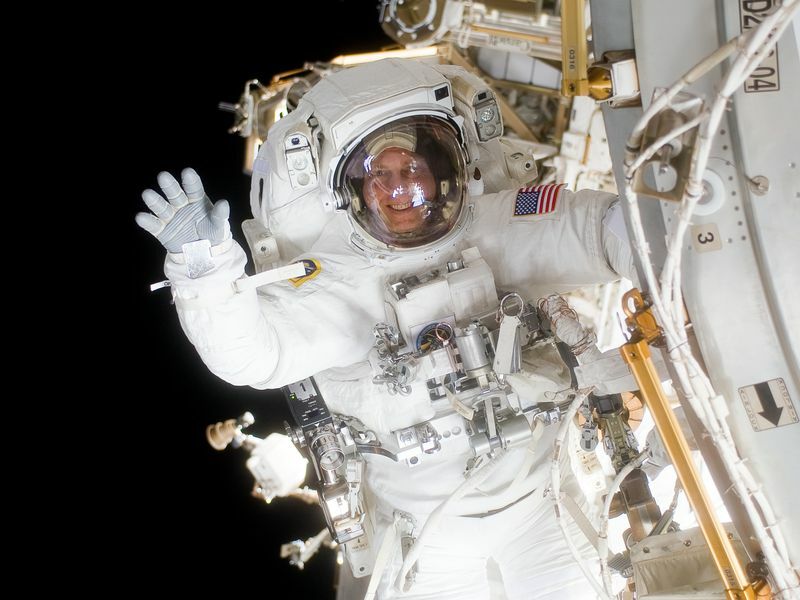 Retired Astronaut Clay Anderson was selected for the corps in 1998, after applying 15 times. He calls his book a “simple accumulation of what I consider interesting, enlightening, fun, and perhaps sad.” These include candid revelations of astronaut traditions, social life, and experiences on the space station, including the frustrations and complaints that Anderson believes got him dropped from flight status. 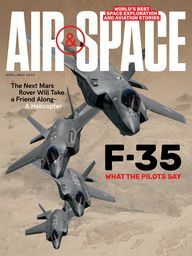 Read about his run-in with mission control in an excerpt at airspacemag.com/anderson. Cassutt: How did you make yourself a better and ultimately successful astronaut candidate? I am not sure why they finally selected me after 15 years…. First, I was better known at the Johnson Space Center. Having worked there so long before my selection, many folks knew of me and my work ethic. I had also added to my résumé a bit [with] some of the more common astronaut application “enhancements,” like SCUBA certification and getting a private pilot’s license. It was still hard for me to stand out among the fantastically gifted candidates that also submitted their applications. I was just an engineer with a master’s degree, making me feel a bit like Howard Wolowitz, the Ph.D.-lacking foil in the sitcom “The Big Bang Theory.” But unlike Wolowitz, and the other 2,600 applicants in 1998, I had one thing going for me that none of them had. I was a college and high school basketball official. While that may not sound too astronaut-like, it was unique among the applicants. It showed leadership and confidence and physical dedication. There have been relatively few shuttle-era memoirs, and not many about the International Space Station. Why is that? It is interesting to me that very few astronauts have chosen to write about their time in space, especially those of us who have lived and worked on the International Space Station. I wanted to be one of the first, and to do it while it is still somewhat relevant, and not merely a historical account of my mission many years later. My book doesn’t provide life lessons or sage advice. It does not provide a blueprint for saving the world or for enabling people to become more successful by applying my experiences to their everyday lives. Did writing it teach you something new about yourself? Writing this book was therapeutic. I am a believer in truth and transparency. I want to tell it like it is. However, in writing my first book, I’ve learned that oftentimes I’m a bit too open and up front. As I wrote of my difficult moments in space and on the ground after my first flight to the International Space Station, I came to realize that I had culpability, just as my astronaut management and Mission Control Center teams did. But in the end, it seems to be all about the delivery. In the book, I explain how I accepted that responsibility—albeit a bit late—and how it hurt my career. I believe it was my willingness to speak up that caused me to fall in the eyes of my astronaut bosses. After having established a pretty solid reputation before flying on the station, I became more confident in my status, assuming that was all I needed to be heard and respected. However, it would turn out, it was not so much what I was saying, but how I was saying it, and—even more importantly—how it was being perceived by those hearing it. That was a tough lesson to learn. As an astronaut, I had the most wonderful job in the universe, but it wasn’t easy by any means. In the end, I simply wanted to share that thrill with the audience, while still pointing out situations illustrating when and how it could be difficult and frustrating. That was a really fine line to cross. Based on your experience on the ISS—and what you know of others’ experiences—how useful is it to beyond-Earth-orbit missions? A typical day on ISS has the crew following a detailed daily schedule. It’s broken down into specific segments for the tasks, color-coded to help the crew determine which activities are time-critical and which must be completed in order. A secondary list of extras, to be tackled at the crew’s discretion or not at all, is also provided. This currently accepted and reasonably well understood concept will simply not work for trips BEO or to the Red Planet. The approximately 20-minute round-trip communication lag pushes us to a new way of doing business. Crews will need much more autonomy than they have today. But what if there is still an issue? With a 20-minute comm lag, text messaging is much more practical than a call to Earth. Much like Andy Weir’s hero Mark Watney in his popular book, The Martian, messages can be sent, and then a designated time must pass until an answer is received. Texting is also a technique that would lend itself to testing on the space station. The time difference can be changed incrementally, and all can see what happens. Once the interval is Mars-like, I surely hope the crew has a good book, some potatoes to tend to, or some of those old sitcoms that Watney suffered through!